The 100% pure polyurea TECNOCOAT P-2049 system was developed as a single coating suitable for waterproofing, protection and sealing in general. The pure polyurea TECNOCOAT P-2049 membrane is made up of two high reactive liquid components, isocyanates and amines, which are mixed together using spray equipment. 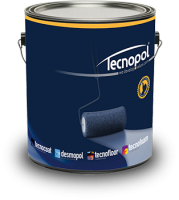 TECNOCOAT P-2049 is an aromatic high density and elasticity pure polyurea and excellent mechanical and chemical resistance qualities. The 100% pure and elastic polyurea TECNOCOAT P-2049EL system was developed as a single coating suitable for waterproofing, protection and sealing, especially in elements with structual movements.The pure polyurea TECNOCOAT P-2049EL membrane is made up of two high reactive liquid components, isocyanates and amines, which are mixed together using spray equipment. TECNOCAOT P-2049EL is an aromatic high density and elasticity pure polyurea and excellent elasticity. The 100% pure polyurea TECNOCOAT P-2049LVsystem was developed as a single coating suitable for waterproofing, protection and sealing in general. The pure polyurea TECNOCOAT P-2049LV membrane is made up of two high reactive liquid components, isocyanates and amines, which are mixed together using spray equipment to form a solid, continuous without joints or overlaps. The cold polyurea TECNOCOAT CP-2049 is a two component polyurea, that once applied, forms a continuous, solid, 100%waterproofing, continuous, without joints or overslaps, completely adherer to support. 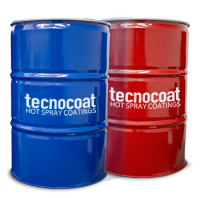 Suitable for waterproofing, protection and sealing in general. Due to its cold and manual application, is ideal for repair or reapplication on our pure polyurea membranes range, once are already catalysed.